Two rockets land at the Eshkol region, causing no physical injuries or damages. Mortars fired earlier land in Gaza. Gaza-based terrorists continued to fire rockets and mortars at southern Israel on Tuesday evening. 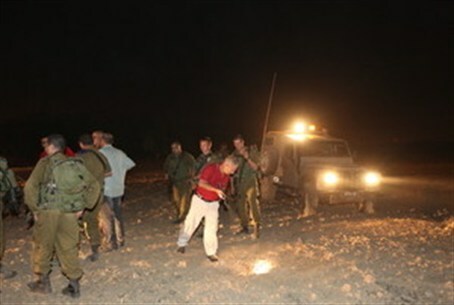 Two rockets were fired at the Eshkol region shortly after 10:00 p.m. local time on Tuesday night. The rockets exploded in open fields. No physical injuries or damages were reported. Earlier in the day, terrorists fired mortar shells toward southern Israel, but they hit an area inside Gaza. On Monday night, IAF aircraft struck two sites in northern Gaza in which weapons were produced and stored. Direct hits were identified. The air strike came in response to repeated rocket attacks on Israeli children as they began their first day of school. On Monday morning, Gaza terrorists fired a Kassam rocket on the Sderot area, minutes after students arrived at their classes for the first day of school. The rocket exploded in an open area, reducing injuries to shock and trauma. Later in the day, Gaza terrorists fired two more Kassam rockets as children were returning home from their first day at school. The short-range missiles exploded in open areas and caused no damage or physical injuries. In June, Gaza-based terrorists fired more than 100 rockets at Israel within several days. The Hamas terror group, which controls Gaza, subsequently announced it had agreed to an Egyptian-brokered ceasefire. However, the Gaza-based terrorist groups always take advantage of the ‘ceasefires’ to periodically send a reminder to Israelis that they have the ability to fire rockets.